As the “criminal justice” machinery clamps down on the poor, families with one or another member in prison are a significant sector of the population in the U.S. 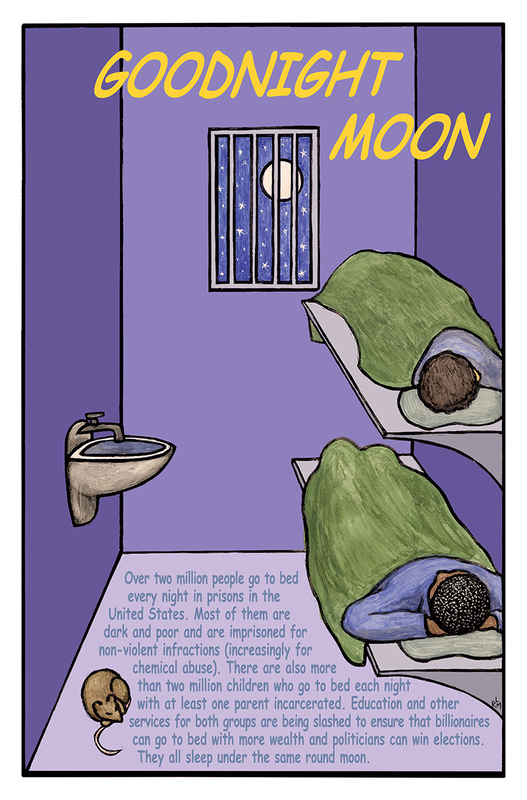 This poster features two people thinking of their loved ones, who sleep under the same round moon. Enlarge the image to read the full text in the poster.